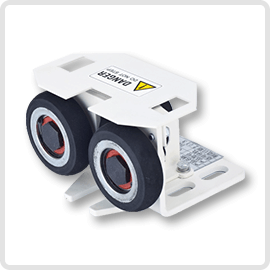 The roller material comes from Taiwan, which can prevent the oil contamination by our sliding guide shoe. 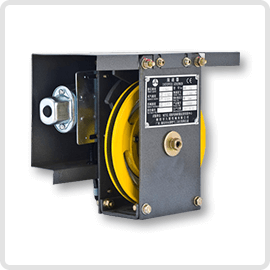 In the event of overspeed or the steel wire rope breaks by accident, the speed governor will detect the speed and stop the elevator immediately. 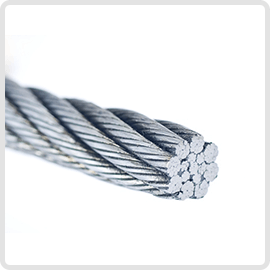 TRANS use the top quality steel wire rope from Italy or England which can support 10 tons weight by each rope. Our lift has two ropes to provide 20 tons of load and the safest guarantee for our customer. 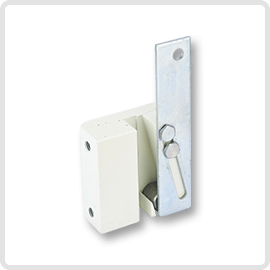 TRANS has developed the top quality SAFETY parts together with the America studio that can stop the lift immediately to guarantee the safety of our passengers, when the elevator is overspeed or the rope is broken.